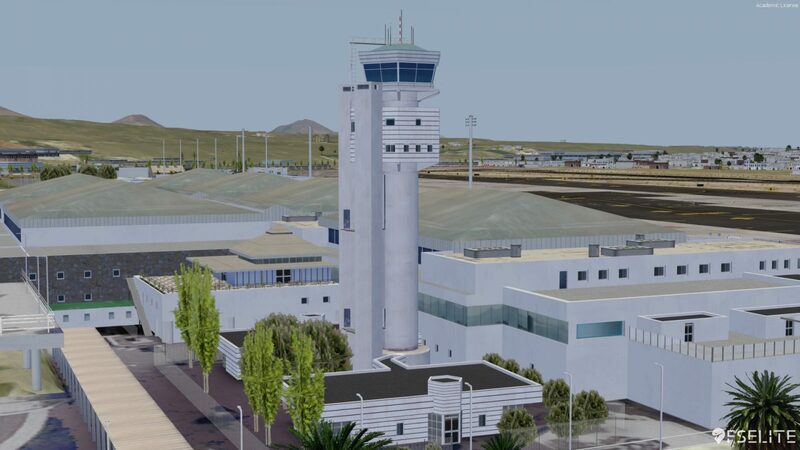 MK-Studios has taken the simming community by storm by releasing a prolific string of scenery focusing on the Canary Islands, with their latest being Lanzarote Arrecife airport. The Canaries, as mentioned in previous reviews, are a very popular destination for travelers from all over the world due to their predominantly year round sunshine and picturesque landscape. 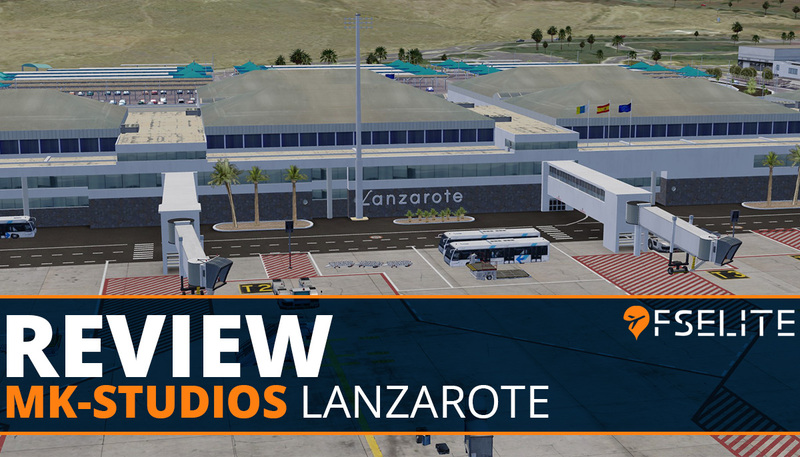 In this review we will be focusing on Lanzarote, the most northern of the Canary Islands located just 7 miles north east of Fuerteventura (another MK-Studios release). Often called the island of eternal spring, Lanzarote hosts a subtropical desert climate providing approximately 16 days of rainfall annually and boasting an average temperature of 24.8c. Being only a few hours flight time from the UK and central Europe, it’s no wonder that this destination – along with the other Canaries – sees high numbers of tourists. In fact, tourism is one of the biggest contributors to the island’s economy for 40 years – second only to agriculture. 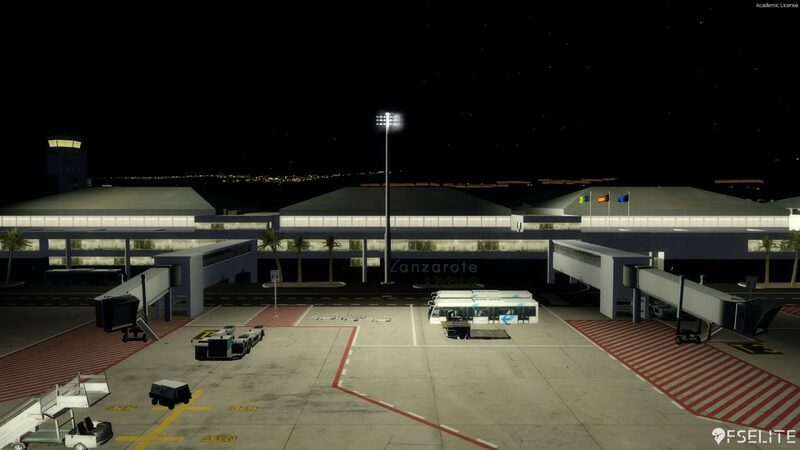 Lanzarote, or Arrecife Airport, is located 5 KM southwest of the town of Arrecife and was conceived through pure necessity as the previous airfield built in Llanos de Guacimeta was only designed as a temporary measure; something more permanent was required. 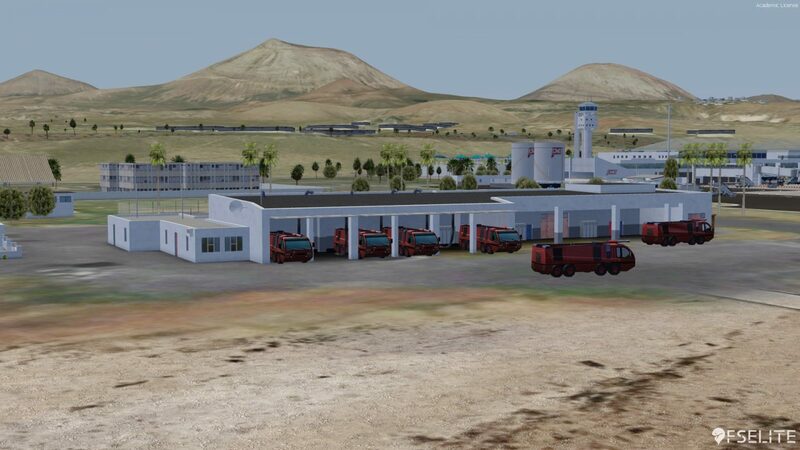 From 1946 onwards, continuous development throughout the years has seen DME, ILS, and VOR facilities installed for both runway 03 and 21. 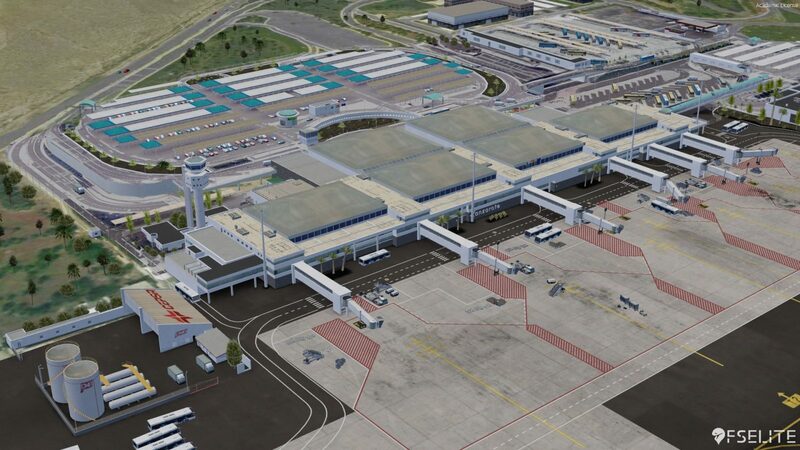 In 1999 due to heavy traffic and increasing popularity a new terminal was opened as Terminal 1 with a capacity of 6 million passengers annually. 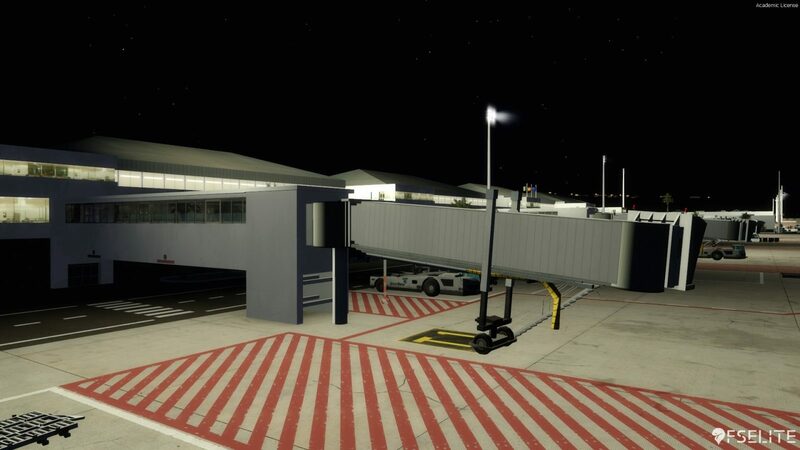 The original terminal, now dubbed Terminal 2, had modernisation works carried out and now serves inter-island flights. 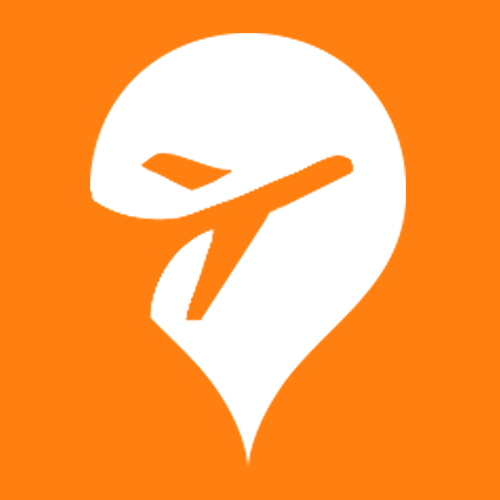 Over 40 airlines serve the island – many seasonally, but also many scheduled; notably Binter Canaries, the TUI family, SAS, Jet2, Condor and easyJet, with Ryanair operating an outstation. 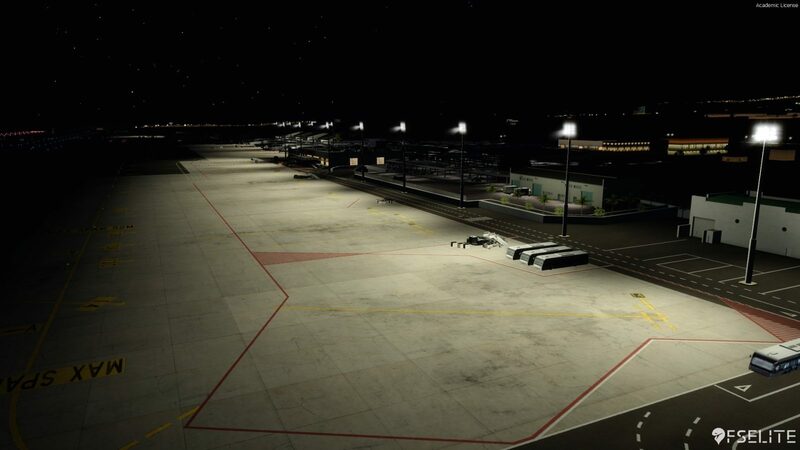 So, as you can see, the replayability already stands out as the airport offers a diverse list of real world operators. Installation takes mere moments, and comes in the form of a 587 MB installer with a registration key after purchase. Following on from seamless installation, you’ll find MK Studios’ standard configurator tool; along with a link to documentation containing all you need to know, it also provides the ability to configure a few options. 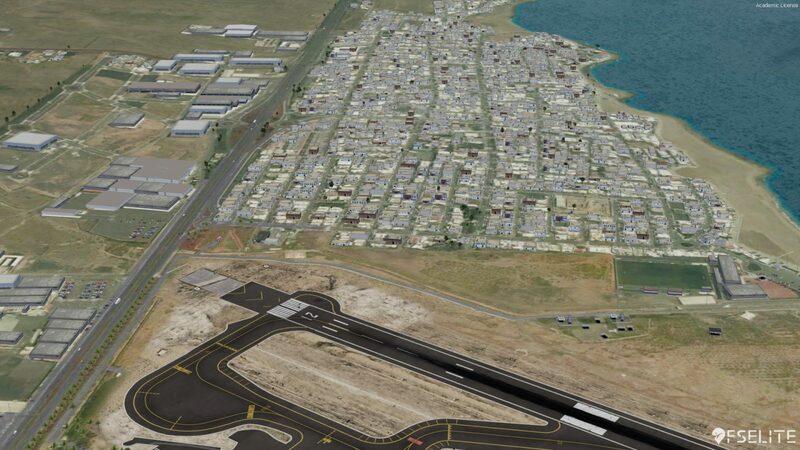 As is standard, the scenery is compatible with ORBX and I experienced no issues with terrain and so forth. 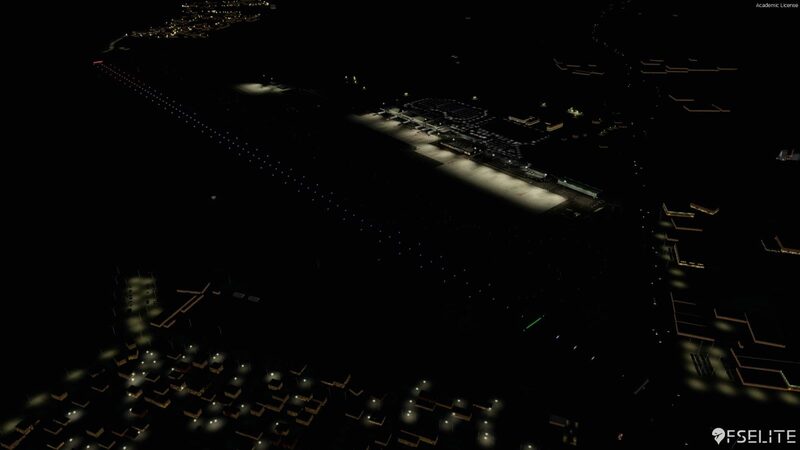 It’s worth noting that SODE is implemented in this release, so you’ll experience seamless docking after your arrival. As is common with MK-Studios products, VGDS Safedock is fully functional for users of GSX; however, a ‘lite’ version is available for non-GSX users. So, either way, you’re not missing out. It’s wonderful to see that MK-Studios has decided to replicate the whole island in great detail with the help of photo-scenery. This means that many of the places you may have visited in the real world are visible or at least recognisable on approach, with several other distinctive landmarks. 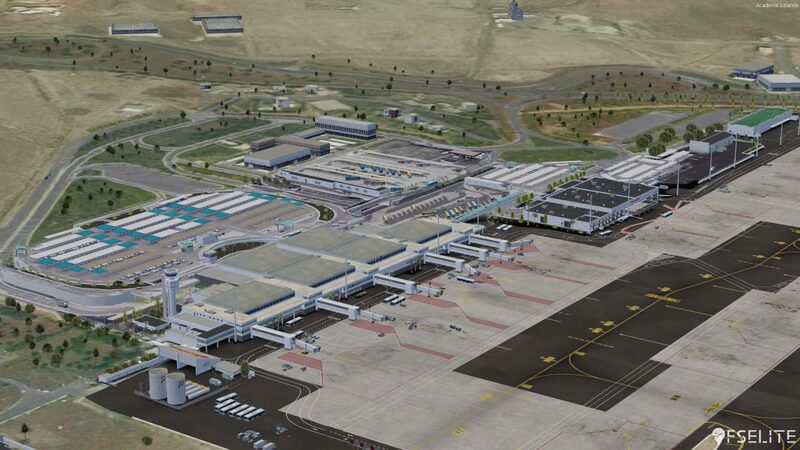 The terminal is modelled in great detail, and comparative shots from satellite imagery confirm correct locations and geographical positioning. 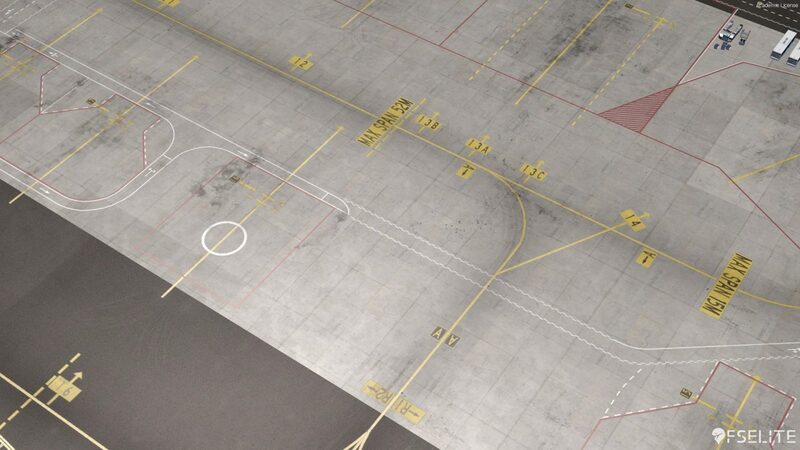 Their high-fidelity modelling extends to all buildings on the airport campus including, but not limited to, the military ramp where correct logos and decals are displayed. The attention to detail in this scenery is second to none. 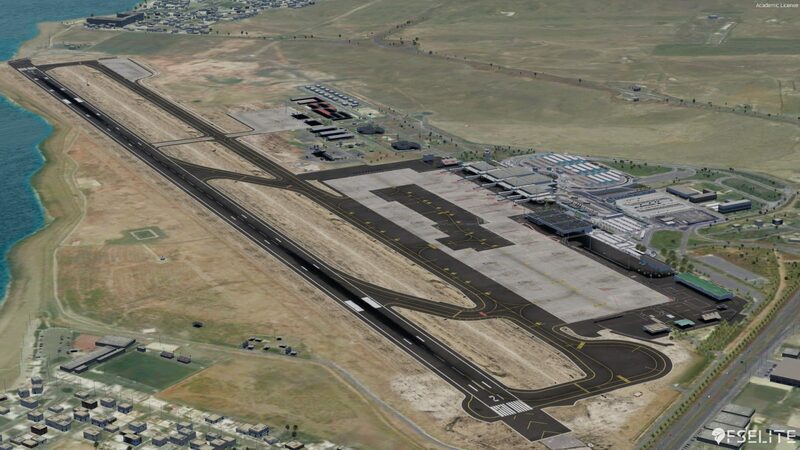 By comparing satellite imagery it’s easy to see how true to life MK-Studios version is. 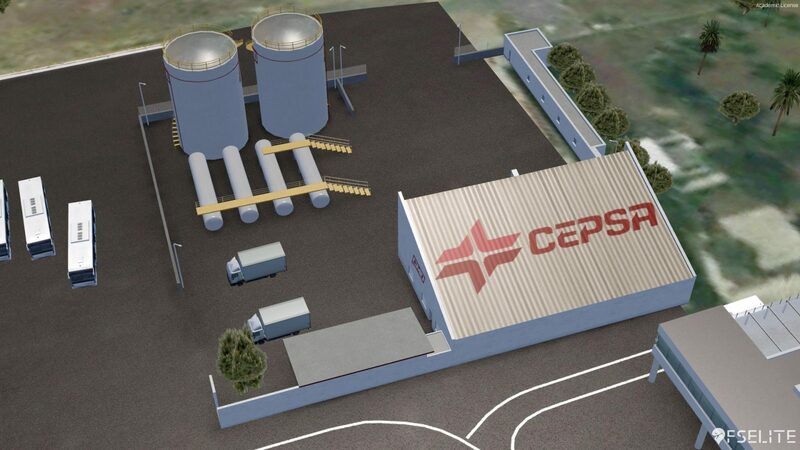 The colouring and textures of every little detail are a testament to the hard work of the development team. As I mentioned earlier the average temperature year-round is 24.8 degrees Celsius and you can really get a feel for that when you see the cracks and baking in the markings and patchwork repairs on the ramp. 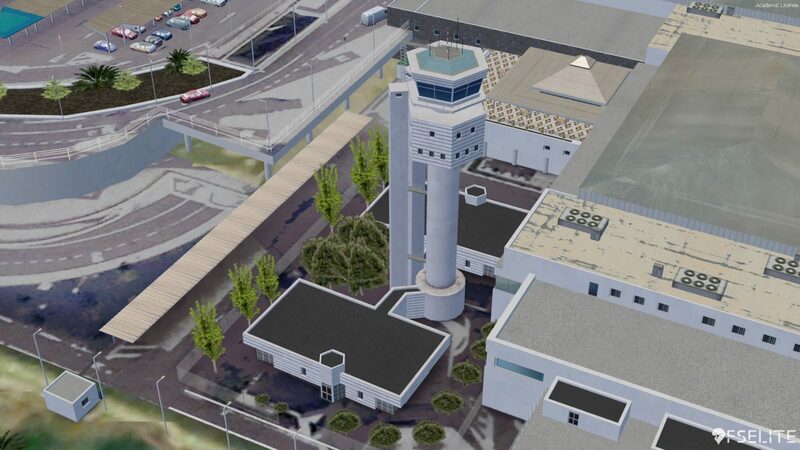 The airport has lots of activity in real life and MK-Studios has done a magnificent job of conveying that feeling to the consumer. 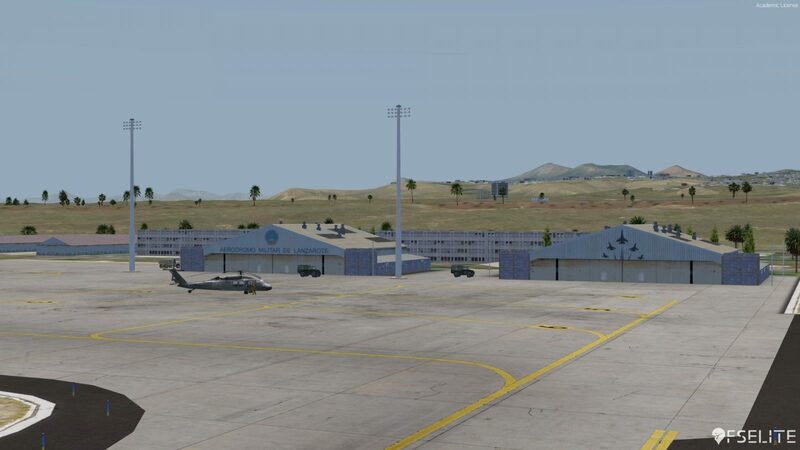 There are a few areas, notably C.S.D Lanzarote S.L, where the hand crafted autogen doesn’t quite match with the terrain; however, the impact to flying is negligible and I probably wouldn’t have even noticed if I wasn’t reviewing the product. 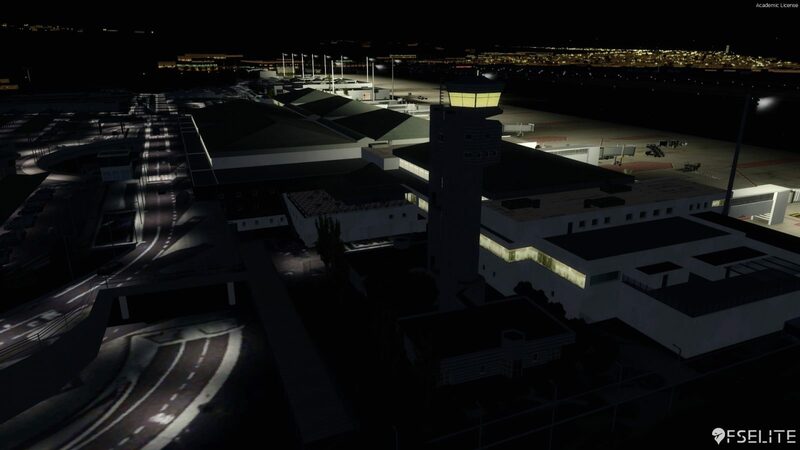 Lighting has improved in leaps and bounds through the years as new technology has emerged, and here, MK-Studios has ensured they utilise the available technology to provide great realism. 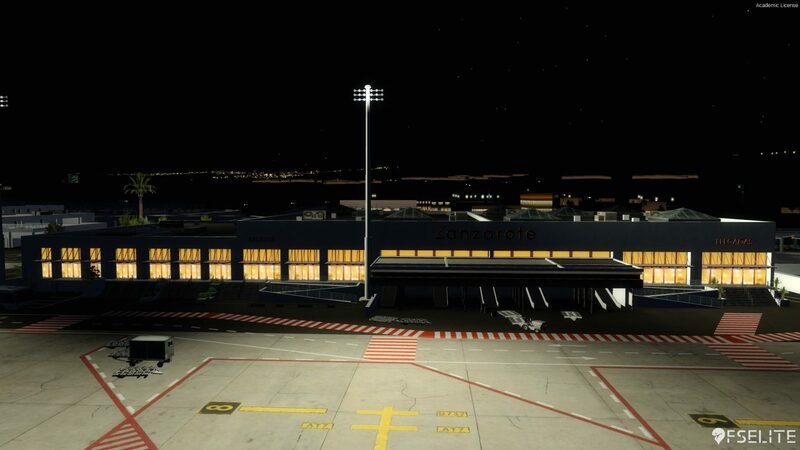 Gone are the days of random shafts of light depicting taxi lights; you’ll see ambient, soft lighting glowing from the 3D modelled light sources. 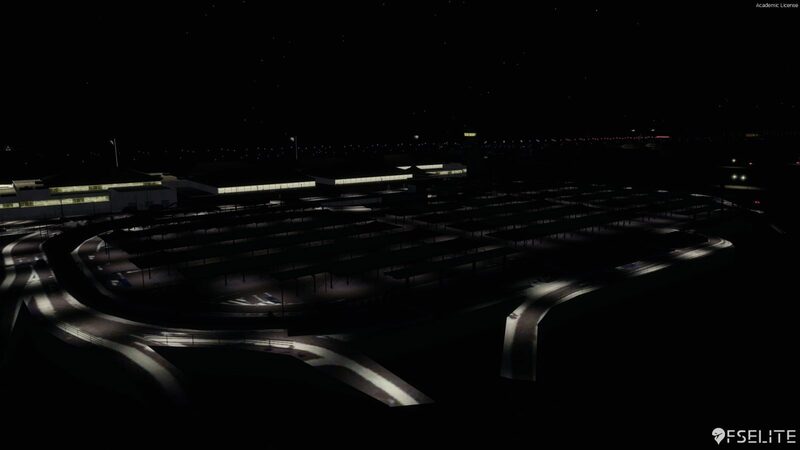 It would have been nice if the taxiway signs were lit – although they may very well be, but they don’t show very much in the sim. Sunsets and sunrises in the Canaries are one of the most breathtaking things you’ll experience, and the lighting creates such an ambiance that it’s easy to forget – even if just for a second – that you’re sitting at a desk. 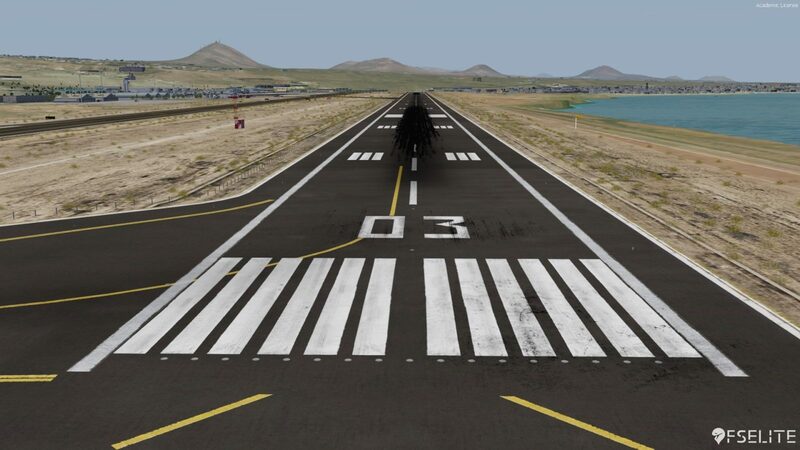 Try sitting on the threshold of runway 03 at dusk with the shimmering lights of Playa Honda glistening in the distance, and you will see for yourself exactly how realistic and beautiful the lighting in this scenery is. Performance is on par with their other sceneries and I wasn’t able to detect any major blips in performance despite several hours of testing. It’s worth noting that dynamic lighting is implemented in this scenery so those on a tighter rig may experience a different outcome. 8.1 Out of 10 How do we score? | Feedback? 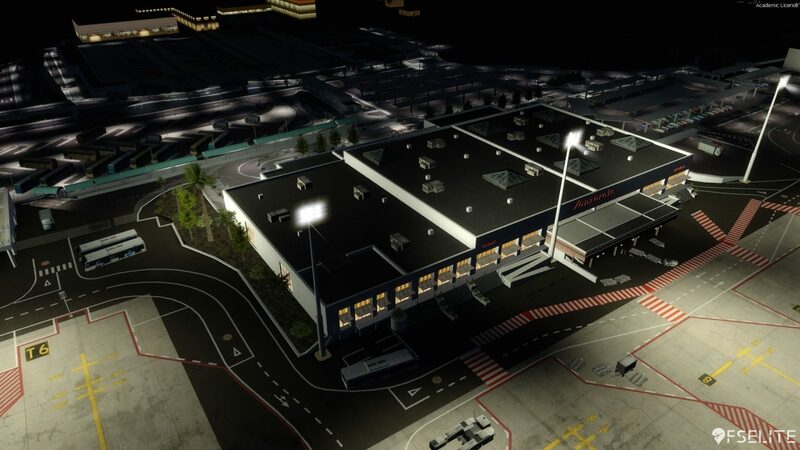 To summarise, this is another brilliant release by MK-Studios, one that I would thoroughly recommend regardless of your flying style as it covers all bases. 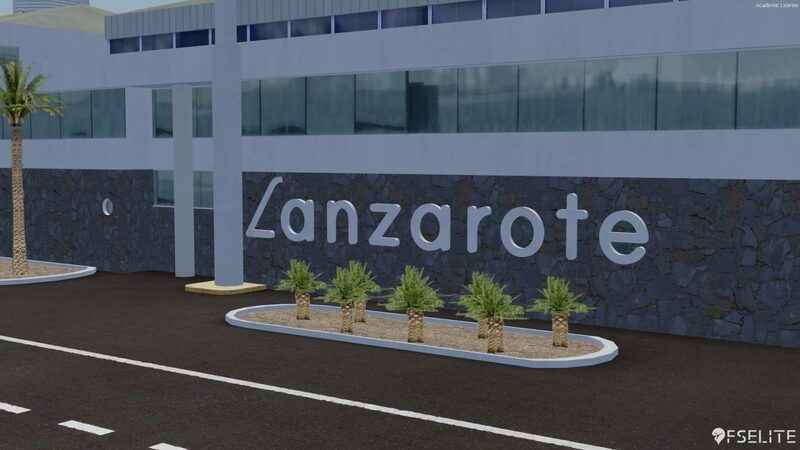 Lanzarote offers a challenging but rewarding approach coupled with breathtaking views that have been tastefully and painstakingly replicated by the development team. It’s a definite must have for any simmer.